I read these beautiful scriptures about a sovereign, all-powerful, all-loving, all-knowing God, and yet I sometimes I don’t always think or live like this is true. Sometimes I worry more than I should, especially about my precious six and nine-year old children. At times I get anxious about decisions or just daily life and sometimes I seek comfort or try to control things instead of seeking and resting in God’s peace. To be honest, I really like the idea of controlling everything and life being…well…comfortable, easy. However, God often uses the very things that bring us worry and anxiety to bring us closer to him. He uses our struggles and discomfort to teach us and He can use challenging times to teach us how to ask, trust and obey. As we grow closer to him, he teaches us to say yes to real peace and freedom from worry, which is only found in trusting and resting in him and his plan. Saying yes to real peace can feel hard-but it builds faith that is necessary not only for peace and freedom but also to live life in a way that honors God and reflects his goodness and love to others. Comfort. I hate to admit it but this has been a goal in my life. I grew up in a wonderful, loving (not perfect of course) Christian family as the oldest of 4 girls and there was nothing in my childhood that was particularly hard or challenging. In fact, it as great. It was fun. My parents were loving and nurturing and my relationships with my sisters and parents were and still are very close and healthy. We always had food on the table, we were blessed with good health and parents who loved God. My guess is that without realizing it, I have spent much of my adult life trying to return to that…I’ve just wanted things to be happy, comfortable and easy, just the way I remember my childhood. But I was confusing comfort and ease with peace. They are not the same thing. Spending time praying, reading the Bible, investing in friendships, Bible studies, music, etc. are the ways to know God and find his direction. This time is also important for self-discovery. It is through the time I have spent in prayer, scripture and reflection over the last several years, that it became clear to me that this issue of comfort and control (or at least the illusion of control-because he is ALWAYS in control) has affected me practically and spiritually. The fact that as the oldest child I was the boss and able to control much of my destiny seemed like a great way to carry on into adulthood! I chose what music we listened to and what games we played on the trampoline, and in general was in charge of my little world… I enjoyed living like that. Because of this, there have been times when I have taken the easy way out. There have been amazing things I have missed out on-classes in school I didn’t take, fun and enriching adventures I have missed out on too. My spiritually and daily life has been impacted by this fear to dive head on into the life God has given me. Instead I sought my old, comfortable ways of living and doing things. This was not the case in every area, but it was always a weakness I had to overcome. So I am thankful for my childhood and all the good things it brought, but I am also aware that being a comfort and control seeker, regardless of the root of that in my personality, is not God’s will for my life in any way…spiritual or practical. Imagine what we miss if we don’t take chances and do things that scare us! We have to be willing to say yes to God and let go of comfort and control. God has used several yes-moments in my life to ignite a love and passion for encouraging and uniting women. I have said yes to things I never thought I would and certainly to things I didn’t feel qualified to do. Those yes-moments led to this…leaving my comfort zone once again to write these words. This yes came from years of praying that God would help me tell my story, and that He would help me overcome my fear of my story being irrelevant. I was afraid that because my story was “ordinary” it didn’t matter. He has shown me that there is nothing ordinary about the miraculous parts of my story. My story, just like yours, matters. Allowing God to transform your weaknesses is not ordinary! God doesn’t lead us to do things He hasn’t prepared us for, and even though He has prepared us we may still feel unqualified. But, in my opinion, the fact that we feel unqualified is His assurance that we will lean on His power rather than our own. Prayerfully surrendering my need for comfort and ease and instead really seeking His will has led to relationships I would have never had, serving I would have never done, leading Bible studies to ladies who were far more knowledgeable and qualified than me. Surrender led me to change. Surrendering my comfort (as well as my urge to control everything) is a daily decision that has changed my life and perspective. These yes-moments have brought with them such blessings. The biggest ones that come to mind were the rich friendships I made by saying yes to Bible studies. This tribe of ladies are so important to me and I’m so glad to have them in my life. This summer brought a huge opportunity to say yes to God’s plan rather than staying comfortable. My husband received a fabulous career opportunity which would move our family from our home state (very near the city where my husband and I were both raised) to a larger city in a neighboring state. This opportunity began a lot of prayer and soul searching. Was this His will for our family? As I prayed for answers and for God’s will to be done, all arrows pointed to moving. I relied on scriptures such as Psalms 5:8, “Lead me, Lord, in your righteousness, make your path straight before me” and Isaiah [30:21], “Whether you turn to the right or to the left, your ears will hear a voice behind you saying, “This is the way, walk in it” and I prayed through all the details, I mean all of them. Handling our decision in this way brought such peace. So we said yes. Yes to leaving a city and state I loved. Yes to leaving my busy yet beautiful daily routine. Yes to leaving the nearness of family and my best friend since age 10 who lived one mile down the road. Yes to leaving my community… my tribe. This yes meant leaving my wonderful job that I loved and was quite comfortable with, a school we loved, a church we loved, a beautiful home and fun activities our family would dearly miss. I left the comfort of knowing someone everywhere I went. This was truly saying no to comfort and yes to God’s plan…even though we didn’t know what life in a different city would be like. This was complete trust that God had us and would not let us go. Despite the fact that the details played out at a fast and crazy pace, I had complete peace that we were heading exactly where God wanted us to go. And he has been faithful in every step of our move. We were led to a wonderful school similar to the one we loved so much at home. God provided us with friendships-old and new-which have helped my children transition through changes in home and school. I am a major friend person and so being blessed with the friendship of a family from our new school, as well as connecting with an acquaintance from years before, (and loving our instantaneous deep friendship and connection and the fun our families having hanging out together) are all huge blessings. These relationships are in addition to the fact that one of my life long best friends (and her husband who I would also consider a best friend) lives here, which has been a source of constant help and honesty and support and getting to be with her so much is one of my favorite parts of living here. Our kids have settled in miraculously well and God has guided us into activities for them that have been so important in our transition. God has been working so much in these details for us! I met another mom just a few weeks after moving here at my daughter’s ballet class…she invited me to join a Bible study she is leading and I have not only learned SO much from it, but we have become close friends. This is no accident! He is so in the details when you surrender your comfort for His plan. This has been shown to me in the past 6 months in more ways than I can explain. Even as God has worked in the details, it still has not been perfect or easy. But God doesn’t call us to a perfect, easy, or comfortable life and I wouldn’t trade what I have learned about myself and God during these past few months for anything. This yes, surrendering my comfortable life for a new and different one, has been one of the biggest faith building exercises in my life. I am so thankful He brought us here. I am so thankful I said yes. There is so much joy and freedom in surrendering our plans and comfort to trust in His plan and His control. He has been with us and we have felt His peace. He has been faithful to answer our prayers and take care of our needs. God doesn’t call us to a perfect or easy or comfortable life, and when we follow His plan He gives us what need. Grace Workman is a wife of 13 years and Mom to a 6 year old athlete and a 9 year old ballerina (or put simply, a 6 year old boy and 9 year old girl). She loves spending time with family and friends, running, decorating and being outside (but only if it’s warm). 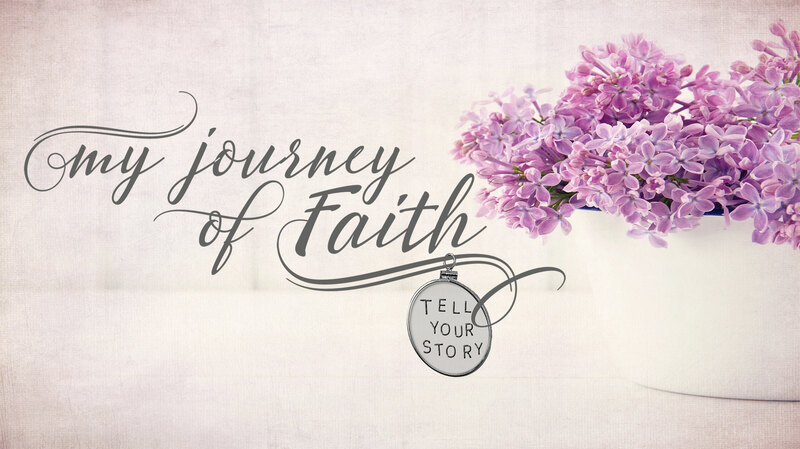 Grace’s passion is living out Psalms 107:2 and encouraging women in their journeys of faith.